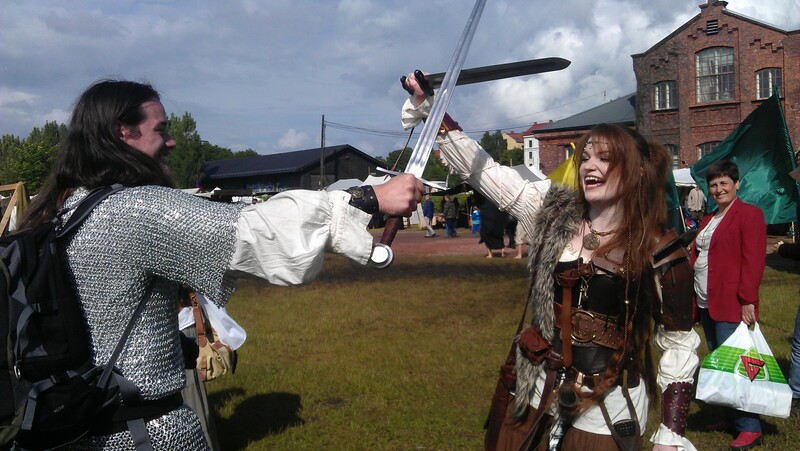 A tale of the making of new acquaintances, of the bow and the sword, of fierce knights and brash vikings, dead rabbits, and a whole lot of mud. Last weekend was the most fun I’ve had in ages! 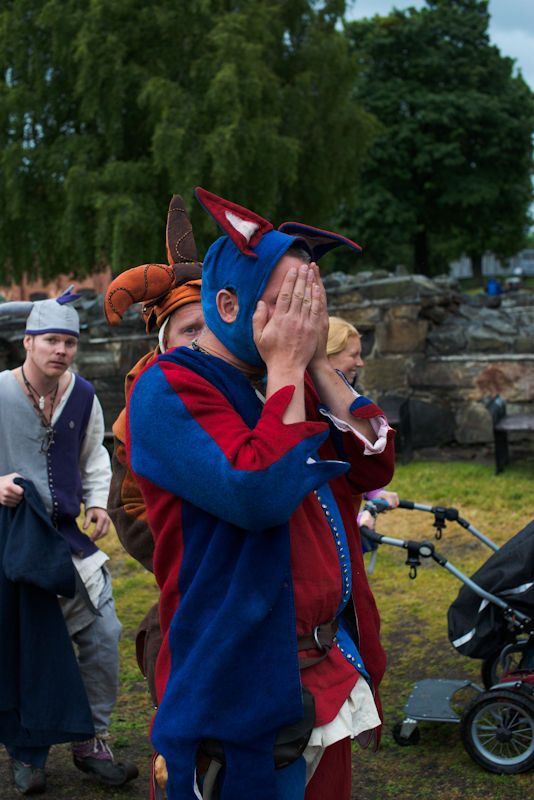 For weeks and weeks I had been looking forward to Oslo Medieval Festival, and finally, Saturday, the 16th of June dawned on us all. Or was there ever a dawn at all? That morning, Jan Tore and myself awoke to the steady thrumming of rain against my window. Things didn’t bode well at all. A few hours later, however, it seemed as Lady Fortune might smile down upon us after all. 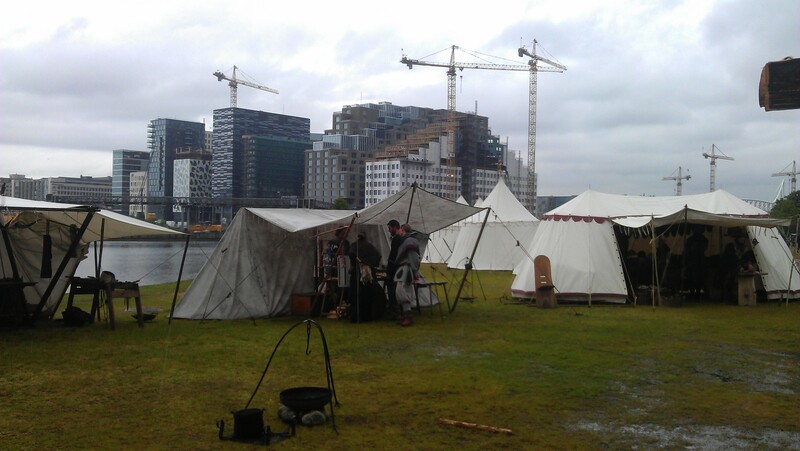 Rays of sunlight sparkled on the droplet-covered foliage and danced across countless puddles as we waited for bus 34 which would take us to Ladegården and Oslo Medieval Festival 2012. We had only just entered when we stumbled into the first of Jan Tore’s many predicted encounters for the weekend; Peter and Renate, who turned out to be superb company! 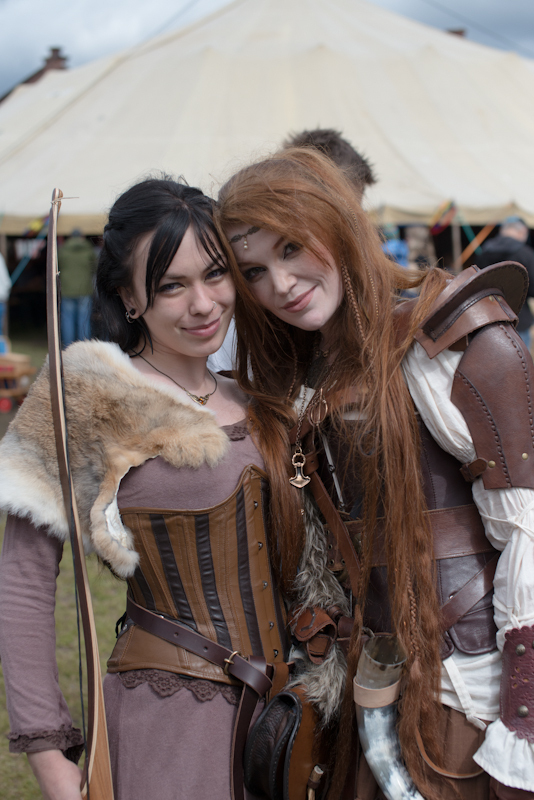 The weather, however, turned out to be less pleasant company, and we soon found ourselves well-bunked in the Feast Tent with Virelai entertaining the crowd. Poor Jan Tore ended up just where the water had gone through the tent canvas. Great luck he bought such a good cloak. No idea what we did to scare those poor fools! 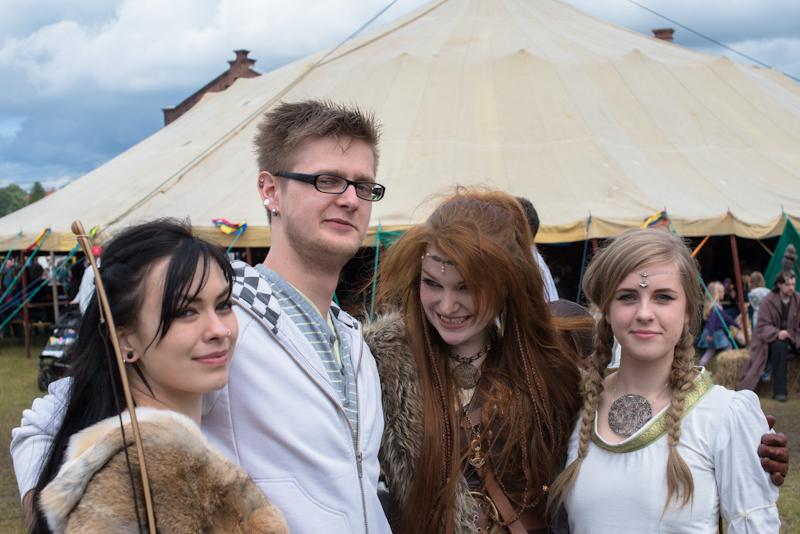 However, one does not simply waste away an entire festival day in a tent. We must away! There are quests to fulfill! 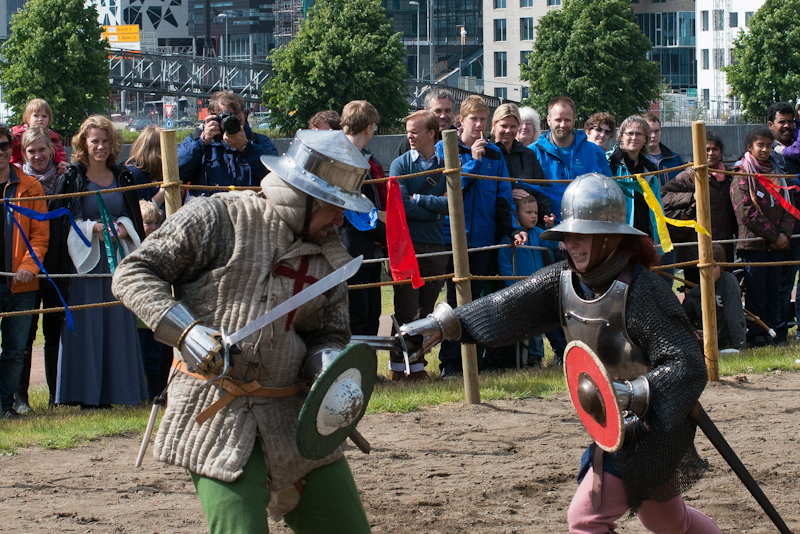 Or, armour demonstrations to attend. 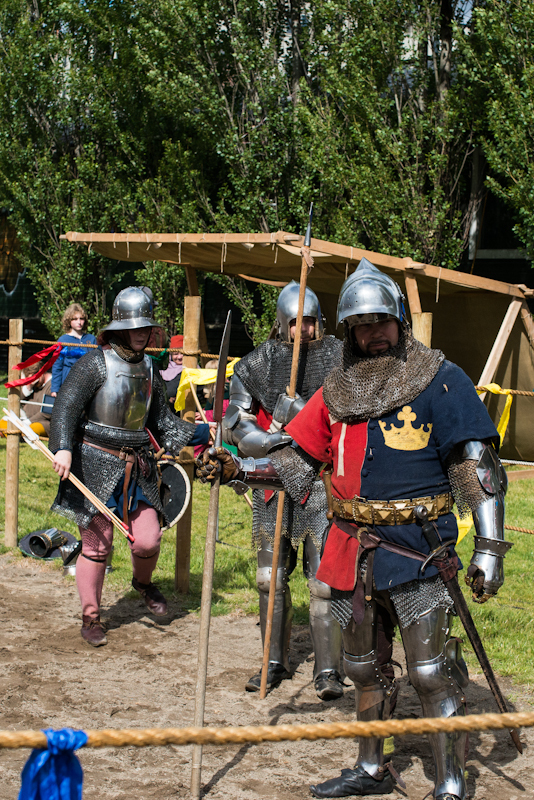 Armour demonstration: The foremost guy wears a peasant’s war gear, except for having a pretty good shield, the guy behind him wears what a well-equipped low-noble might wear. 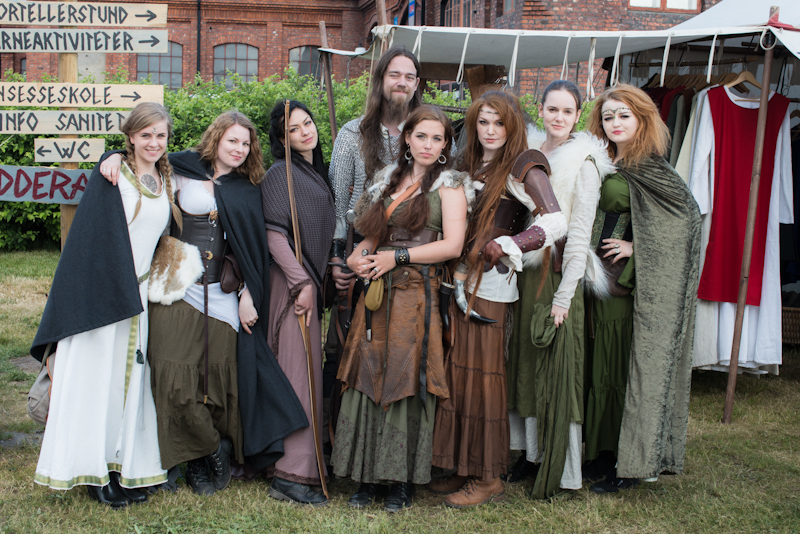 By the time the storytime was at an end, it was time to catch up with all of Jan Tore’s blogger friends. Many pleasant acquaintances were made that moment, and I was finally rid of my greatest burden; Derpicorn the Omniscient, Marita’s new pet. Before the day was at an end, Jan Tore had bought a really beautiful sword from a blacksmith who looked an awful lot like Gendy Waters (what’s up with these look-alikes, anyways? ), and I bought two dead rabbits. The latter turned into a bit of a trend, in fact. Soon, everyone was buying dead rabbits all over the place! 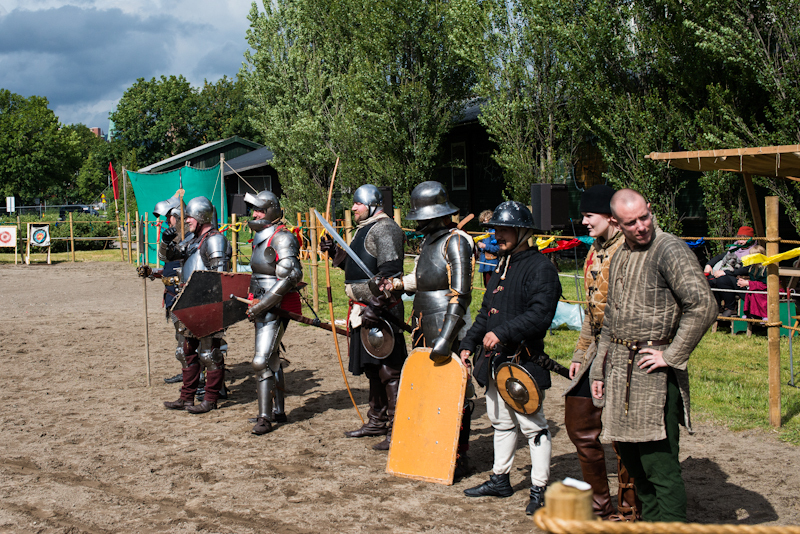 Then, the weapons demonstration was at an end, and all of us were ready to get on with our business, when… The entire tourney grounds was run down by vikings! That was a conclusion to remember! 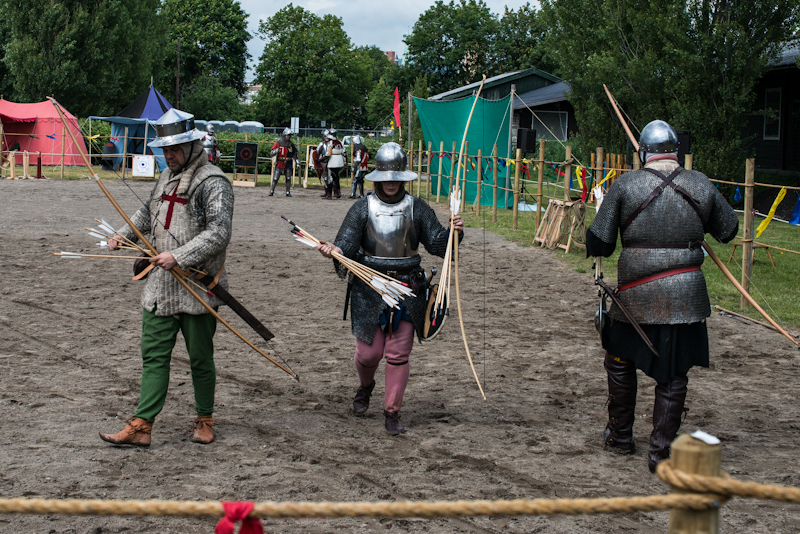 By the time I got home, I realized one thing was particularly authentic with regards to the period this festival tried to emulate; I won’t even try to explain the amounts of mud I was covered in! The weather gods were very much in our favour today. The sun was shining, the birds were chirping; you get the picture, right? 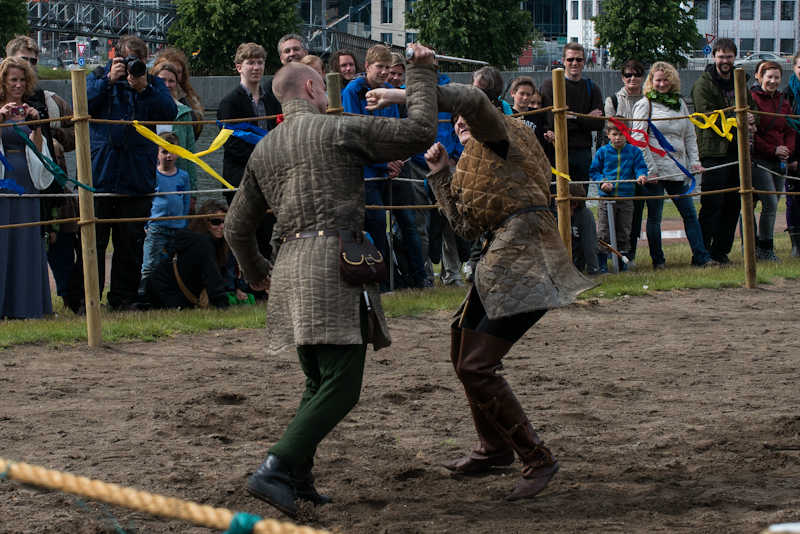 Sunday would also feature the single coolest thing of the entire festival; the tourney. I think I was as giddy and excited as Sansa Stark. First achievement of the day: Deer sausage with lingonberry! The woman who sold all sorts of sausages proved to be a greatly entertaining interlocutor. I learned that the sausage was based on an old, traditional recipe she had discovered at her father’s old farm. I just can’t keep myself from imagining how far back this recipe might go, and what kind of people who first made it! I also learned a few fun facts about the sausages from my own childhood-region. I’ll save that for some other time, though! 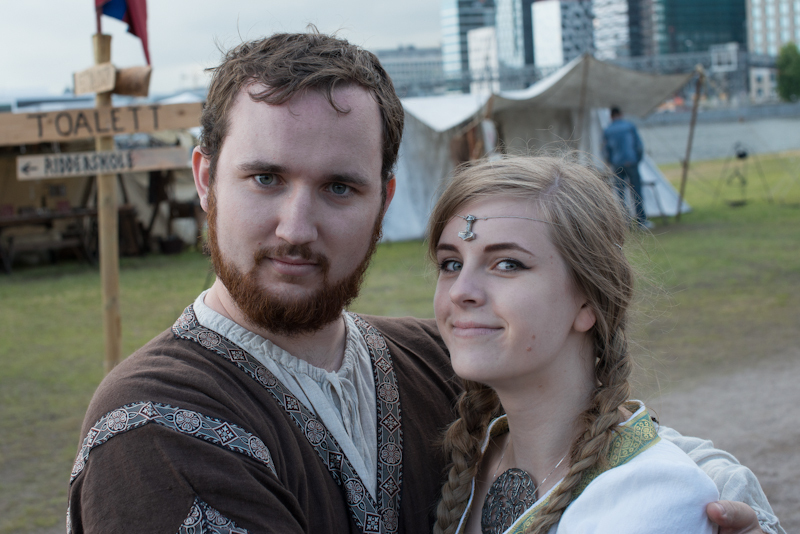 On our way back to the Feast Tent, we met Krijanis, a Latvian guy who had just moved to Oslo and who wanted to know LARP-people. Sadly, we couldn’t assist him there, but hopefully, we made good company all the same. 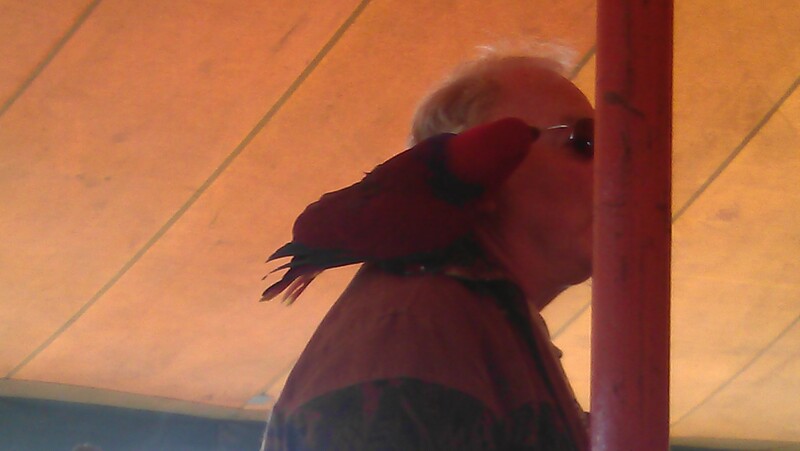 This guy brought his parrot! How awesome is that? 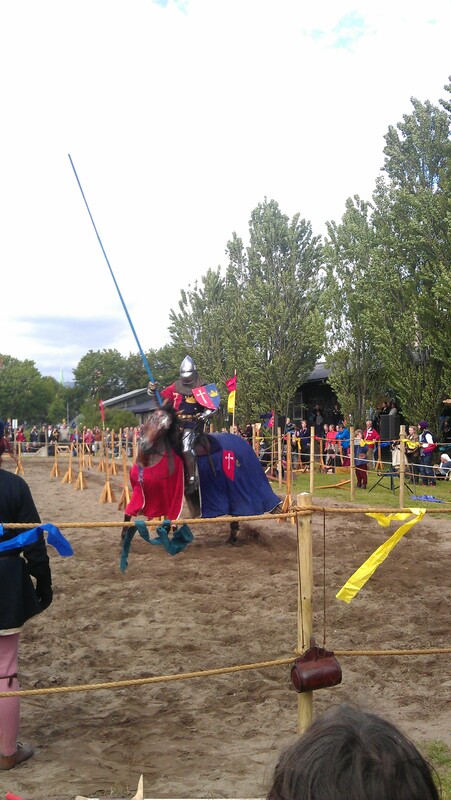 I was getting impatient for the jousting to start, but first, there was a thing I had to do. I wanted a bow! 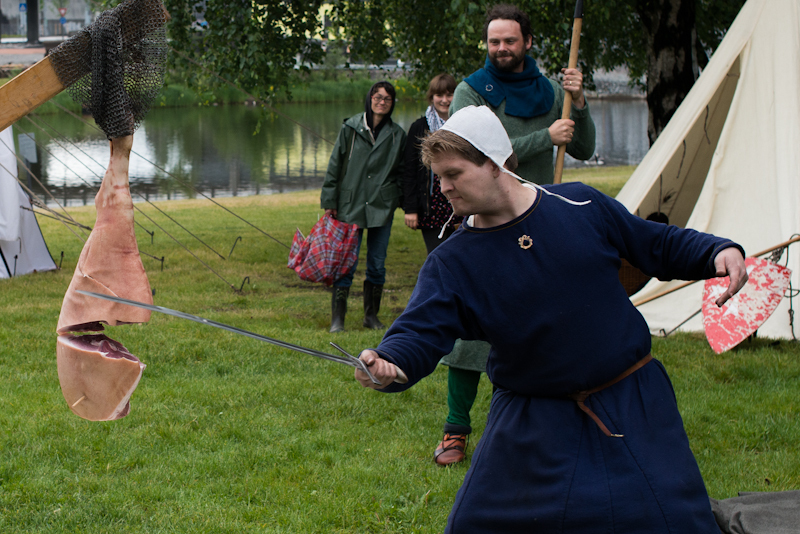 If Jan Tore were to arm himself, so was I! I ended up with a bit of a beauty, in fact. This long, slender thing still needs a name! I’ve received a couple of suggestions already, but I’m still open for more! 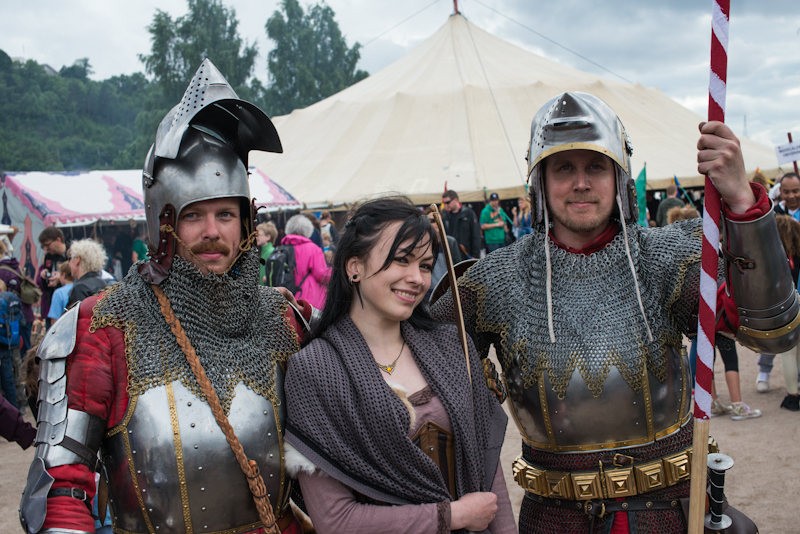 On our way back, we bumped into a couple of really impressive-looking guys in really dashing armour of red-and-gold. 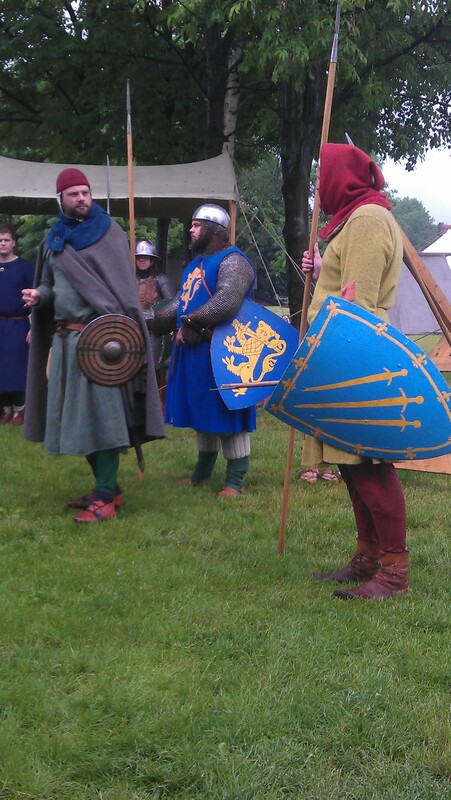 Are there Lannister men-at-arms HERE?! Or, were they simply members of Friknektene (the Freeriders)? 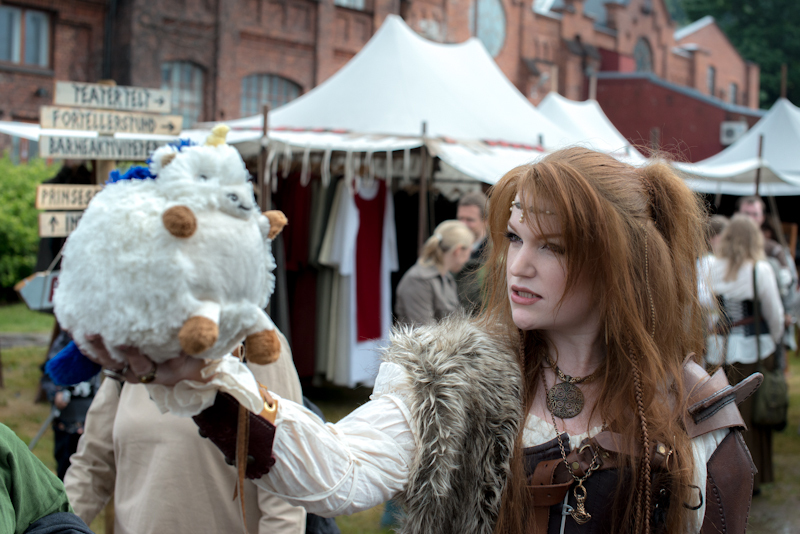 Not sure if I buy that… And a Lannister always pays his debts! They were not too lofty to pose for a pickie, though! 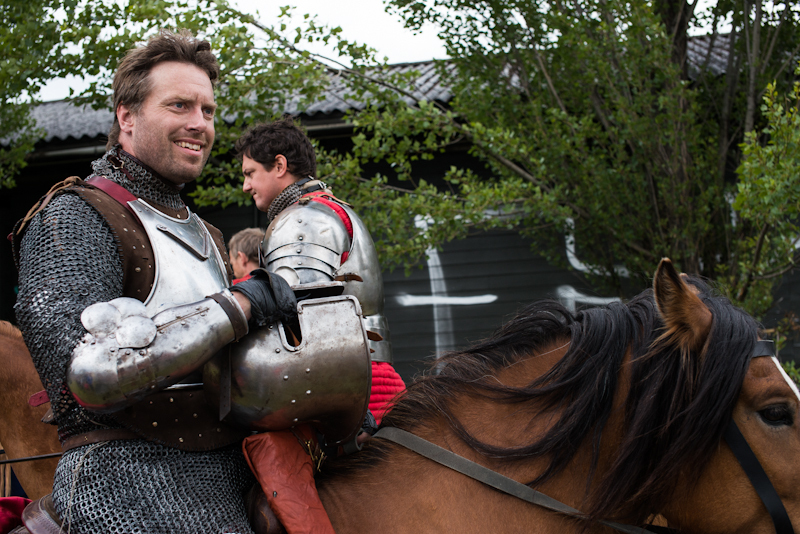 And now for the great event: Knights in shining armour riding at objects and each other! 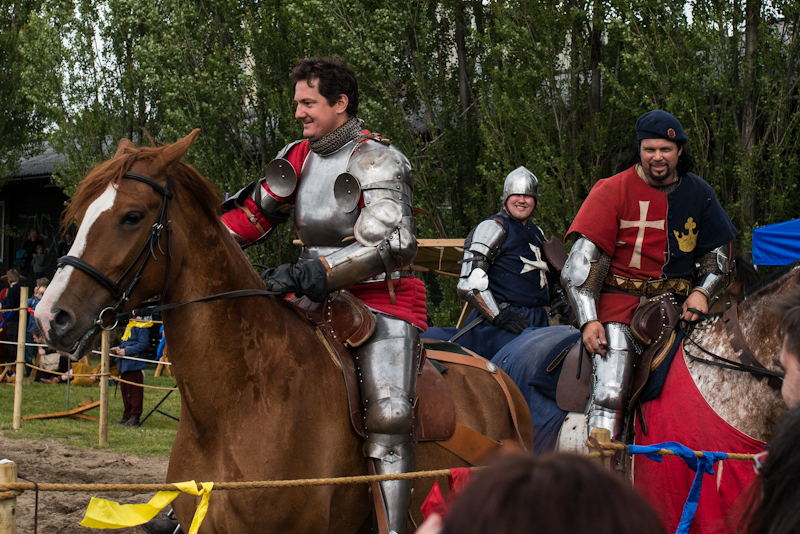 The jousting was tons and tons and tons of fun, and made a great conclusion to a great festival. A big thanks and a big hug to Peter, Renate, Krisjanis, Marita, Kama, Frøydis, Camilla Rose, Eva and Martin for making this great festival even greater. Both Jan Tore and I can barely wait for next year! The aftermath: Turns out several people have tried to contact me on Facebook over the past week, and that I have a doppelgänger as well. Let me make this clear: I am not on Facebook, and I doubt I’ll ever be, at least not in the near future. If you want to contact me or stay in touch, here and Twitter are the places to find me.